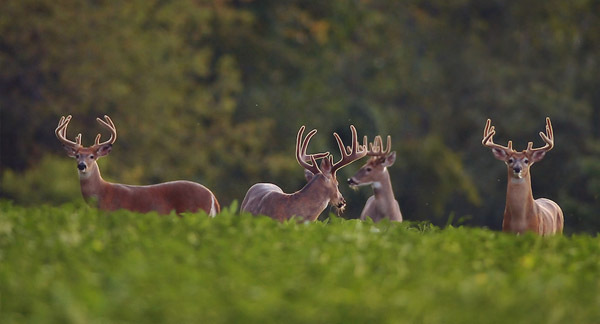 Did you know that deer are actually spending 70% of their time bedding throughout the day? This means about 17 hours of the 24 hours in a day. Add the 11 hours of darkness into the equation and you get to see what your chance for catching the buck on its feet really looks like! having said that, we think it’s pretty obvious why should any deer hunter understand and learn about the deer bedding. For years now, media was really determined to make the hunters stay away from the deer bedding areas as they shouldn’t put any pressure on the deer. It was too risky and everyone was agreeing to this one. Even if the principle isn’t that far from the reality, staying on the safe side at all times may be too energy consuming for the dedicated hunters. In addition, just because you’re hunting the deer bedding areas, doesn’t mean that you cannot do it safely. Let’s learn to walk before we start running, therefore it’s best that you learn about how to find the deer bedding area in the first place and start your hunting afterwards. once you’re able to find the deer bedding areas, you’re be able to actually start your hunting. 1 Is hunting a deer bedding area a good idea in the first place? 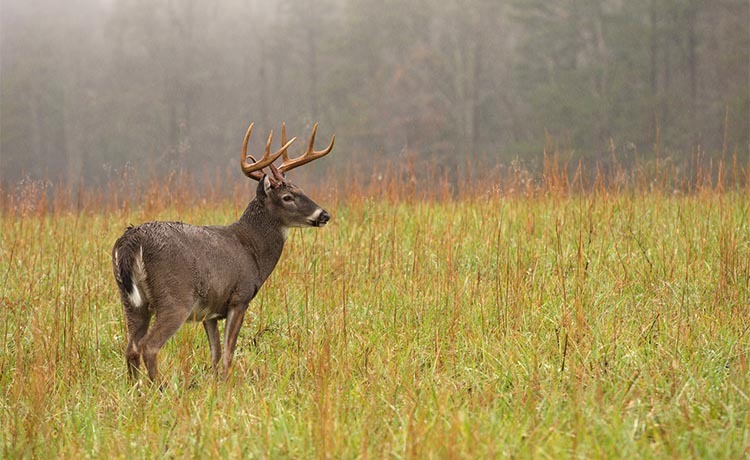 2 When is the best time to hunt a deer bedding area? 3 Where are the bedding areas throughout the year? 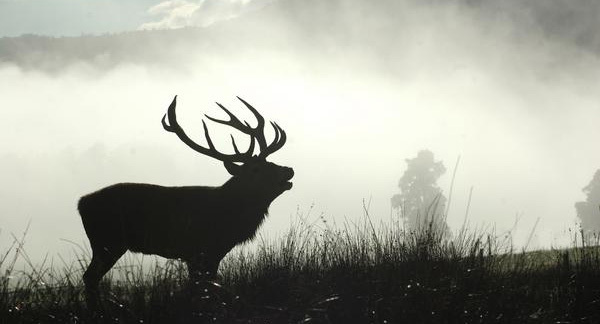 Is hunting a deer bedding area a good idea in the first place? Bedding areas are generous and you shouldn’t sit on the fence about whether you should take advantage of it or not. Don’t jump to the conclusions though as not all bedding areas are good for hunting, but only that the bedding area is the place where any buck is in its most vulnerable state. For instance, mature bucks are going to move for several hours in the morning and only one hour (sometimes it’s less than that) during the rut. Some think that bucks like to walk a lot in the morning because of the high temperature difference between the morning and the afternoon. Even if the distance a buck beds may be a more than a mile away from the social and evening food places, he’s still going to spend most of the morning and the daylight hours in the bedding area. It’s quite common for a hunt to think that a buck is impossible to hunt, but you should change the whole point of view. If you’re going to use a pre-set tree stand and just wait for it, you may have a good chance to ambush a nocturnal buck. You can catch him when he gets back to the bedding area in the morning hours- right? However, mature bucks aren’t nocturnal at all and that’s one mistake on the part of the hunters. They simply hunt too far away from the buck’s bedding area so they’re not capable to notice any predictable daylight movements. 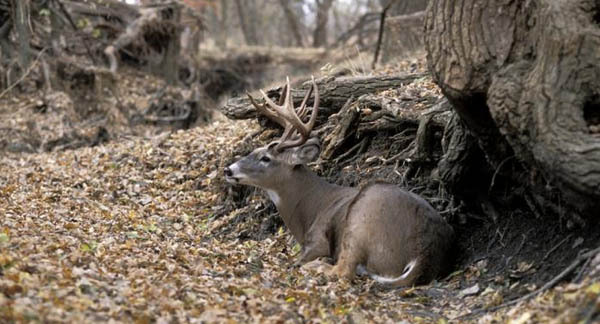 When is the best time to hunt a deer bedding area? Hunting a deer bedding area during the afternoon is anything but possible as the mature buck may use the daytime spot so chances are that he’s already there. If you’re able to slip into the downwind side of the bedding area in the morning, your chance for a shot gets lower as the time goes by. 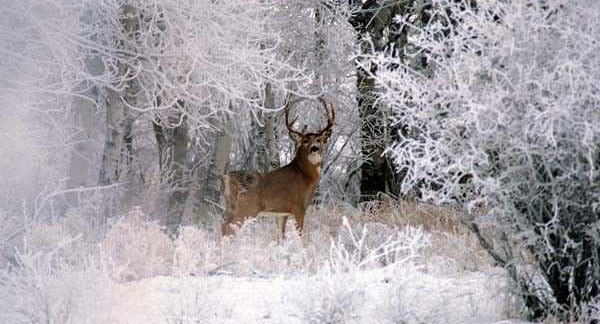 Stay alert after a major cold front and get ready for some frosty morning hunts. It’s all about accuracy so don’t blow your chance during a cold morning by getting too early during a warm weather sit the day before. Just wait for it. This is a great time to try hunting the bedding areas, right before moving in for the big shot during the pre-rut or rut. Take your chance if you’re only 4 weeks away from the rut, especially when the game cameras give you plenty of info about the hour movements in the bedding areas. The chance for a shot during an early morning sit is really low, except for the early bow season and rut. During late season morning bedding area sits you may have a high rate for success if you go wait for warm mornings that come after some frozen mornings. Deer is going to be bedding an immobile during the coldest period of the day (which is in the morning). During later in the year a couple of cold mornings set up are going to raise your chance during a warm morning, whereas earlier in the year warm mornings are going to make a cold morning sit even more productive. Where are the bedding areas throughout the year? Let’s take a closer look at the deer bedding areas throughout a year as they’re different from one season to another. If there’s one season when deer bedding is important for a hunter to know about, fall season would be it. Unlike summer time when everything it nice and green, fall is definitely a season of change. This means that the bedding is also going to go through some changes. Add the mounting hunting pressure into the equation and you’re in for one of the biggest challenges as a hunter. In all fairness, the only reason for which a deer is capable to become a mature buck is fear, as simple or blunt it may sound. If there are people anywhere close, they’re just going to bed when there are no people (we’re not talking about the urban deer, though). Deer are going to bed in the thick and unpleasant areas (from our point of view). Needless to say, fall bedding behavior is the main subject for so many books out there so we’re only giving you a glimpse about the whole thing. Wooded islands, feeder ridge points in hill country, thick edges in flat, interior edges in big woods country, meanders along any river or creek-they are only some of the most popular fall bedding areas for bucks. It’s best that you start by taking a look at them first, working your way deeper and deeper. It’s quite common for bucks to step away from the pressure during a season. Another thing to highlight is that fall is truly the best time for a hunter to make a clear idea about buck bedding behavior related to the wind, thermals and even the path of travel from the bedding area. Once a buck is found, you can take out your GPS device and get the best out of it. Some of you may not know, but a hunting GPS device is a lot more than it used to be. Not only that it helps you get back home, but it can help you load your maps or hunting places. Not to mention that it can save the day when everything goes wrong and you have no other option but to get someone to the rescue. And yes, you can also share your hunting spots with your fellows with a modern hunting GPS device. Temperatures are low, there’s no more food and finding protection is a lot more challenging. Going through winter is all about surviving. It’s quite common for the deer to herd up in what we also known as “deer yards” (this happens in the extreme northern reaches of the country). The coniferous forests insulate the areas and controls the amount of snow thanks to the dense canopy cover. and this counts a lot when saving energy is fundamental for going through the winter. Even if pass the areas in North, deer is still going to herd up during the winter. However, chances are that they’re going to look for the southern hillsides and the areas that provide cover in the 0-3ft range. Despite of what one may think, it’s pretty easy to find deer bedding during winter as you only need to ask yourself “where should one go for staying warm?” Swamp edges, pine plantings and other thick areas should be the first on your list to check out, especially if there’s snow on the ground or if the terrain is oriented towards South. Unfortunately for most of us, during the summer, the deer like to bed pretty much…everywhere. As the grasses are more than 3ft tall and the forest is being alive, deer have so many options foe bedding. However, they’re going to bed closer to food or in areas that don’t have so many bugs. The cooler areas are also an option for bedding. Draws, north facing slopes, cornfields, heavily shaded locations- they’re really common bedding choices during the summer. The easiest way to find the bedding areas during the summer is to discover the place where they’re feeding. If you discover where they typically feed at night, you may very well track them to the bedding. Even if they may bed in so many places, deer are quite predictable during summer, and that’s such a sure thing for the bachelor groups of bucks. You may hang some trail cameras over a soybean area or take a look at the area, following them to their beds. Your odds are going to be in your favor as they’re closer than you’d think. Bedding is a common theme of interest for the dedicated hunters. It does require you to do some scouting and to do some reading about the reasons behind the bedding and everything related to it. There’s nothing arbitrary about the choosing of bedding areas as they’re supposed to keep them safe. Deer are going to select a bedding area that gives them the chance to use their senses as much as they can. Their back is going to be to the wind, so that they may smell behind them and see what’s in front. Did you just find a bed? Get down in it and pay attention to what a deer is able to see. What kind of wind is in there? 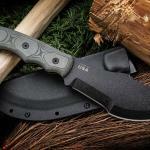 Chances are, it’s going to be a game changer for your hunting.